The UN Human Rights Committee has just published the Irish Government’s written response to the questions that they were asked in Geneva this week. The Government gave no additional information on religious oaths or blasphemy, and it evaded several specific questions that the UN asked it about religious discrimination against atheists and minority faith families in the education system. Why has the Government not yet changed the obligatory religious oaths for Judges, which was first raised by the UN as a breach of human rights in 1993? Will the state also change the obligatory religious oaths for president and others as well as judges? Why has the Irish Government not responded to the UN on its commitment to remove the Irish blasphemy law? The UN previously asked Ireland to ensure that non-denominational primary education is widely available in all regions of Ireland. Why has this has not yet happened, with most new schools being multi denominational, not non-denominational. The UN previously asked the State to provide information on steps being taken to ensure that the right of children of minority religions or non-faith are recognised in the Education Act 1998. The UN now asked how does the State explain the compatibility with Covenant obligations of private schools with near monopoly of providing a vital public service being allowed to openly discriminate against children on the basis of their parents religious convictions? The Government is proposing a new Bill on Section 37 of the Employment Equality Act, which allows religious schools to discriminate against teachers on the ground of religion. The UN asked how does this Bill protect atheist teachers, as distinct from LGBT teachers? This is the first time that this issue has been raised by the UN, and it was raised on the basis of the concerns expressed by Atheist Ireland in our briefing. 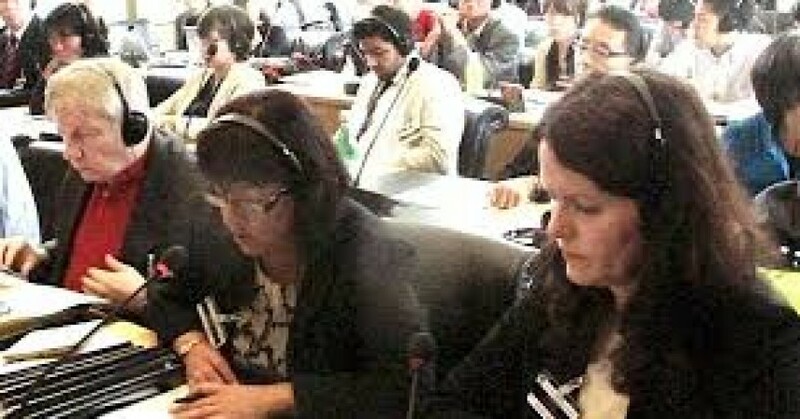 Atheist Ireland will be sending further information to the UN Human Rights Committee about the questions that Ireland has not answered. The UN Human Rights Committee will publish its concluding observations next Thursday. For now, here is the text of the Government’s written response to the questions about education. Historically in Ireland, religious authorities acted as patrons of primary schools and initiated the process of establishing a new school when needed. The vast majority of primary schools are therefore privately owned but publicly-funded institutions, although this is changing as new schools are built to cater for a growing population. The Government recognises that the education system needs to adapt and evolve to reflect the changes in the society it serves and to uphold the rights of all pupils. This was acknowledged by the Government in establishing the Forum on Patronage and Pluralism in the Primary Sector, and also by representatives of the largest patron body, in supporting the process of divesting patronage of existing schools. Under Section 15 (2) (d) of the Education Act 1998, each school is obliged to publish its enrolment policy. The enrolment policy must be non-discriminatory and must be applied fairly in respect of all applicants. Equality legislation outlaws discrimination in relation to the admission of a student. However, the legislation provides that, in exceptional cases, a school can refuse to admit a student who is not of the religion of the school, provided that it can prove that this refusal is essential to maintain the ethos of the school. The Education (Admission to Schools) Bill 2013, which is currently being drafted, is aimed at improving the admissions process and to ensure that the way schools decide on applications is structured, fair and transparent. The legislation also proposes a mechanism for ensuring that every child receives a school place. A New Schools Establishment Group was established in 2011 to advise on the patronage of new schools. The Group’s criteria place a particular emphasis on parental demand for plurality and diversity of patronage, to reflect changes in the diversity in society. There has been significant growth in recent years in the provision of multi-denominational primary schools, which cater for pupils of all faiths and none. Between the academic years 2007/08 and 2013/14, of the 61 new primary schools which were established, 44 were multi-denominational. There is no obstacle to the establishment of non-denominational schools, if such schools are sought by a sufficiently large number of parents and if the requirements for patronage are fulfilled. The Report of the Forum on Patronage and Pluralism recommended that in areas of stable population, where there is evidence of demand for different types of patronage, this demand could be met by divesting patronage of existing schools. Surveys have been undertaken to assess parental demand for different types of patronage and the process of divesting has begun in some schools. A paper on the follow up to the Forum on Patronage and Pluralism, entitled Forum on Patronage and Pluralism in the Primary Sector: Progress to Date and Future Directions, with a particular focus on how primary schools can respect the rights of all pupils regardless of their cultural and religious background, was published on 1 July 2014. The paper takes account of a public consultation, which was held in 2013, where parents, in particular, were asked for their views on how primary schools can make all children feel included and involved. Under Article 44 of the Irish Constitution, all parents have the right to withdraw their child from religious instruction in school. Under Section 30 of the Education Act 1998, a student cannot be required to attend instruction in any subject which is contrary to the conscience of the parent of the student or, in the case of a student who is 18 or more, the student him/herself. Schools are obliged to respect parents’ rights to withdraw their children from religious instruction classes. Different schools have different ways of facilitating parents who wish to withdraw their children from religious instruction classes. This depends on the individual circumstances of each school and the wishes of parents. The new Education (Admission to School) Bill 2014, which is currently being drafted, will require schools to publish an enrolment policy which will clarify the school’s arrangements for upholding the constitutional rights of parents in this regard. Irish government again defers to the "institutionalised belief system" that pervades Irish schools. Irish government again defers to the “institutionalised belief system” that pervades Irish schools.